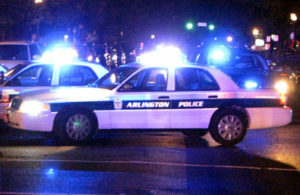 A restaurant in Clarendon was robbed at gunpoint Saturday as crowds of bar-goers flocked to the neighborhood. Police say the Jimmy John’s sandwich shop at 1138 N. Irving Street was robbed just after 9 p.m. The investigation is continuing, although as of this afternoon no arrests had been made in the case.